Rain-X® Latitude® Water Repellency wiper blades provide an innovative 2-in-1 solution to both clear and repel the elements for ultimate driving visibility. 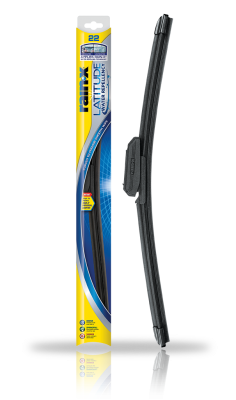 These wiper blades not only give you the superior wipe quality you’ve come to expect from Rain-X® Latitude® blades, but now also treat your windshield with a water repelling coating for the ultimate in driving visibility! Rain-X® Latitude® Water Repellency blades work by transferring a Rain-X® water repelling coating from the wiper squeegee to the windshield during initial use. For optimal water repellency activation, run your wiper blades on a clean, dry windshield for 2 minutes. Once activated, the water repelling action will last for months! The Rain-X® water repelling coating will also help clear your windshield of harsh winter weather driving elements, such as ice, snow and sleet. This can help reduce wear and tear on the squeegee and lead to longer blade life. 5079281-2 - Latitude Water Repellency 26" 5079276-2 - Latitude Water Repellency 19"
View other wiper blade arm type installation videos.